This article previously featured in The Tribune Weekend section on March 17. 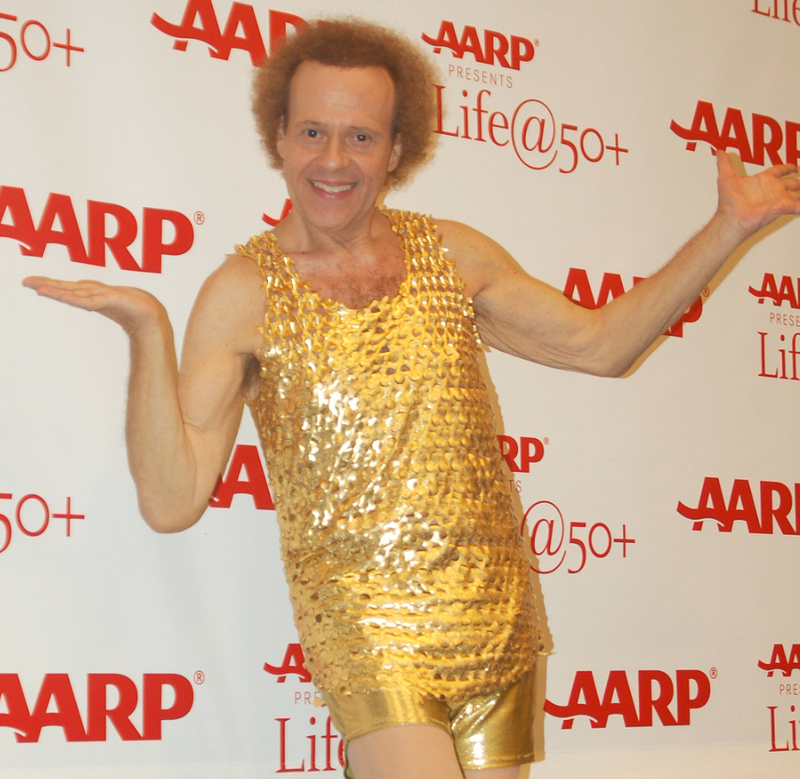 Richard Simmons attending the AARP's 2011 Life@50+ National Event and Expo in September 2011. THE success of the podcast ‘Serial’ has inspired a raft of shows looking at true crime – and this week we start off by looking at a show that takes the investigative format of ‘Serial’ and applies it to a very different case – ‘Missing Richard Simmons’. 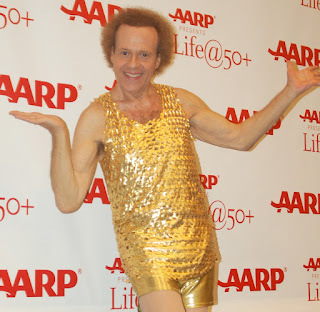 Richard Simmons is one of those celebrities you might be familiar if you watch a lot of talk shows and daytime TV. He was a regular on Letterman, would show up alongside Ellen, guest starred as himself in General Hospital, and more. He was loud, exuberant, enthusiastic and an evangelist for fitness and exercise. He’s the guy who would tell people to hug themselves at the end of their yoga sessions. And then he went missing. Simmons had his own gym, Slimmons, in Los Angeles, and would lead sessions for a host of customers. But one day, despite being the kind of guy to ring and check on his customers if they missed a session, he just stopped showing up. Among the customers using the gym was the host of this podcast, Dan Taberski, and he launched this podcast to find out what had happened to Simmons. There’s no indication of foul play, no hint that Simmons is anywhere other than inside his house, but the show seeks to know why such a gregarious character could suddenly withdraw from the life he seemed to embrace so vividly. Taberski sets about talking to the people who know Simmons – and building up a picture of a man who would reach out to others for no reason other than because he wanted to. But here’s the thing... it all feels a little like stalking. Simmons isn’t really missing, he’s just missed. In the past week, police officers – spurred by one claim in the show that Simmons might be being held captive – went and knocked on the door, and came away saying he’s just fine, and that “right now he’s doing what he wants to do”. This podcast has rocketed to the top of the charts on the basis of this investigation of a missing man who isn’t missing. It’s immaculately produced, expertly researched... but is it really anyone else’s business? And is it helping Simmons, whatever he’s up to, behind the closed doors of his LA home. A show looking more squarely at the issue of missing people is ‘The Vanished’ – and it’s a powerful, painful show to listen to. The episode I listened to focused on the case of Mimi Lewis, who was just 14 years old when she disappeared from her home in Kosciusko, Mississippi. She was later found dead, and those are just the bare facts of a story that touches on a host of issues of law enforcement, child protection – even the language we use – that end up stacked against the young people who find themselves in impossible situations. Turning to other crimes, ‘Generation Why’ is a podcast in which hosts Aaron and Justin chat about unsolved murders, conspiracies, true crimes and more.The latest episode focuses on Harold Henthorn, a man who went on a hike with his wife, Toni, in the Rocky Mountains to celebrate their anniversary – a trip that ended with Toni falling from a cliff to her death. The show goes over the build-up to the trip, and spends a lengthy amount of time playing the 911 call made by Henthorn as he called for park rangers to come to their aid after Toni’s fall, begging for a helicopter to come and collect them. But it was to no avail, and Toni died there at the bottom of that cliff. And then the investigation started to put a different story together from the one that Henthorn was telling. From the phone he claimed had low battery which limited communication but which was used extensively at the time of the death, to the lack of efforts to keep Toni alive noticed by rangers when they arrived, and then the key pieces of evidence – the life insurance policy Henthorn had taken out on Toni. And the map in his glove compartment marked with an X at the spot where Toni died. The hosts recount all this before revealing the other evidence that saw Henthorn jailed – the death of his previous wife in another accident, crushed under a car as they tried to change a tyre, and the sizeable life insurance policy that he had on her too. It’s a grim story, but the way it’s told is mixed – the hosts leave some big holes unexplained, such as saying how friends of Toni thought her husband was controlling but then not offering anything to support that, and saying how Henthorn was a meticulous planner – yet by the end of the same sentence in which they say that ending up pointing out how he couldn’t explain why there was an X on a map showing the scene of the death. Still, they don’t pretend to be professional analysts – and this is a thought-provoking show. The Vanished is such a wonderful show. The host, Marissa really works with families to try to find the missing and make a difference. I'd def recommend it to anyone!